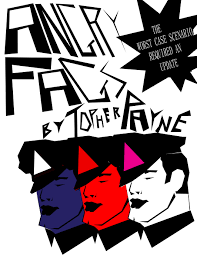 Local genius playwright, Topher Payne, had started this one some years ago, but this is a premiere of the updated version, as he deals with social and political problems of our nation which isn’t getting so great again, very quickly. As the French would say, The more things change, the more they stay the same. Directed by Kate Donadio MacQueen in association with Ibi Owolabi, the cast of 7 players come on with gusto. Bennett (Gregory Hernandez) has split with his significant other and moved in with Cooper (Cody Russell). The time is after Potus is out of office, bu things aren’t idyllic yet. Cooper is doing PR for a gay senator. When Bennett’s ex, gets brutally assaulted at a gay bar, the attack can’t be classified as a hate crime. Couldn’t be “hate” just because Adam is not black; he’s just another fag. Bennett is doing speech writing and PR for a Georgia senator. Adam (Brandon Patrick) is Chief of Staff for a senator. Allison Haines (Gina Rickicki) is the only lesbian senator and Peggy Musgrove (Paris Starter) is her black Republican nemesis. And Kimberly Phillip (Kelly Chris) is a politicians office manager. All hell breaks loose when Brandon’s roomie, Cooper (Cody Russell) goes off the deep end. Time for gays to take up arms in their revolution. What? Gays taking the offensive against those who discredit them? Who could conceive of such a thing? But, . . . when you think about it, in this insane society in which we live, could this sort of thing be ruled out. No way, Jose. This world premiere of Pearl Cleage at the Alliance is quite a bit different than what you might have anticipated. It is a story of a couple of women who come back to Atlanta after decades living abroad. Anna Campbell (Terry Burrell) is an actor without a gig, and hoping to get back on the boards at a festival being produced by Kate Hughes (Jenie Fleming). The show starts with the problem of Anna’s ego getting to be a hazard. She is sharing a suite with her partner Betty Samson,(Marva Hicks) who is trying to manipulate their way around that ego. Without getting into too many details, Anna’s most famous performance was her monologues of the excerpts from the works of playwright August Wilson. She was working in Amsterdam, maybe in the red light district, and her work won appreciation. But, she was getting on in years. Betty wants to bring a younger lass on stage, and therein lies the problem. Enter Precious Watson (Ericka Ratcliff) who prefers her pseudonym, “Pete”. 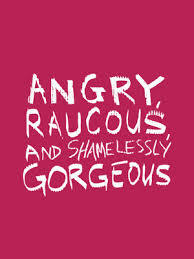 Pete is of a totally different background, other than race; and Anna can’t see the inner values of this woman. The show is all about how we can assess the value of a person by listening to them and thinking about why and how others feel as they do. What is really good about the show is how Pearl fashioned this with a barrage of laughter out of angst. The Atlanta Ballet put a load of work into a contemporary ballet evening that may not have been a Swan Lake but did mesmerize the audience. The performances at thawed Cobb Energy Performing Arts Center was a new treat arranged by their artistic director Gennadi Nedvigin. The opening number, Sandpaper Ballet, brought most of the company on stage in some great costumes by Isaac Mizrahi. The ballerinas and danseurs were all dressed the same and the music was all by Leroy Anderson. If you don’t know his name, you certainly recall hearing the Boston Pops, or other orchestras, playing the quirky numbers like The Typewriter or The Syncopated Clock. The music under the baton of Johnathan McPhee was spot-on. The second number, AON (All or Nothing), was a world premiere of a work by Lucas Vidal and choreographed by Yury Yanowsky. And, the performance closed with Alexander Ekman’s production of Cacti, which they first staged in 2015. The music may ave been by Franz Schubert, but he surely would never had imagined it with their working model. It was a real treat. 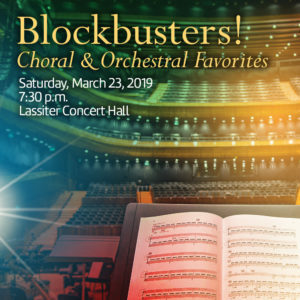 The Georgia Philharmonic and the MOS came together to present an incredible evening at the Lassiter Concert Hall in Marietta. Any suggestion of collusion is just fake news; as they openly appreciate each other and their conductors take turns directing the 140 singers and the full orchestra of more than 50 players, all on the same stage. The program was mostly oratorio works which are musical pieces that are usually based on some Biblical or religious event. It is a performance for voice and orchestra; but the story is told through the music, and not with scenery, costumes, and action. Dr.Michael O’Neal conducted the MOS as he has joyfully done for 30 years, and the orchestra was under the baton of John Morrison, who has been their music director since 2010. When you consider that these 200+ performers are all volunteers, it is quite incredible. 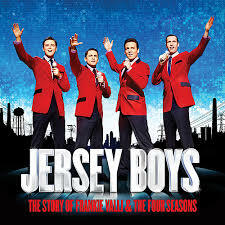 Jersey Boys, the Story of Frankie Valli & The Four Seasons has hit the boards big time at the Fox. This huge touring company will play here just this week. The show has been seen by millions of folks around the world and, obviously, is about that group of performers who hit the #1 Charts big time in the 1960’s with numbers such as Sherry, Big Girls Don’t Cry, Can’t Take My Eyes Off of You, and so many more. You will want to clap in time and sing along. Just don’t be too loud . . . Things weren’t easy in Jersey in those days, and working out deals with record labels and promoters and buying air time wasn’t for sissies. The principals are Jonny Wexler as Frankie, and Jonathan Cable as Nick Massi, Eric Chambliss as Bob Gaudio and Corey Greenan as Tommy DeVito. They were the Four Seasons. The show is presented with great energy on a set which changes somewhat as the team works through gigs in their career. There may be only 15 players on stage, but the amount of gear they haul from town to town is huge and they must have plenty of grips touring with them. This is not one for tots, nor Ms. Prim, as the “F word” is the universal modifier and the show is scripted with real street lingo from them days in Jersey. But, older adults will revel in the tunes, dress, movements and all that kind of stuff when we used to actually be able to understand the words that groups were singing. 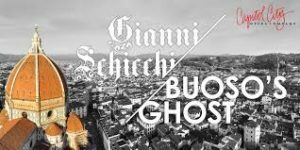 Giacomo Puccini wrote three one-act operas in 1918, and the best known of the three is Gianni Schicchi, which premiered in NYC at The Met 100 years ago. It is pretty much an opera buffa where most things that could go wrong, do so. Buoso Donati is a wealthy gent in Florence, circa 1299. He’s in his final hours and the family is concerned because the existing will doesn’t do much for them. He plans to give it all to the Friars. The townies are not aware of Buoso’s passing and the family figures they can employ Gianni to pull off a deal where he will pose as Buoso, and instruct the notary and witnesses to write his will just before his “passing.” The gang gets upset when they find that Gianni plans to scam most of the money for himself and they will get a pittance. They’re pretty screwed, as each of them was involved in the scheme and every one of them could be held accountable. It is a sort of warning that when you lie with dogs you may get fleas. The opera is sung in Italian with English super-titles. And after a brief intermission they take the stage again to present Buoso’s Ghost, also a one-act opera but written by Michael Ching in 1966. This not-often-staged work is sort of a game of Clue. Sung in English and staged in present day appearance; Gianni becomes concerned that maybe some of them helped to poison Buono and that now he might be the next victim. He got some nice treats delivered to him, but learns that you have to be careful what you choose to eat. Iván Segovia is Gianni Schicchi, and the presentation the cast of 18 others, includes Buoso’s cousin Simone (Christopher S. Connelly), his son, Marco (Michael Lindsay) and Gianni’s daughter, Lauretta (Megan Mashburn), who sings the most remembered aria, O mio babbino caro; a tune you will recall. The KSU Department of Theatre and Performance Studies has brought a really Broadway quality production to their Stillwell Theatre. 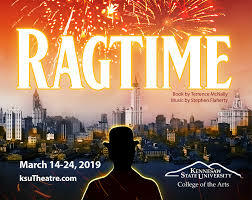 Ragtime, a musical based on the book by E. L. Doctorow, is directed by Amanda Wansa Morgan and it is hard to believe that almost every actor is actually a current student at KSU. There is a cast of 18 principal players plus and ensemble of 28 more, with a live orchestra of 13 players in the pit under the baton of Cristina Dinella; and they work their way through a score of 30+ numbers. It is not just a ragtime concert, but is a story of a man of a man who likes to play ragtime, at a time when racism was quite a problem and so many citizens were deprived of their rights, while the hoi-polloi just carried on business as usual. You meet Coalhouse Walker (David Wilkerson III) who wants to find his place in society and at the keyboards. There is also a story of a husband and wife who take in a woman and her baby as part of their family, in a time when mixed families were not common. And then one person who is denied his fair chance to find success, goes off the deep end, which is not so uncommon these days. The early 20th century in this nation was not a time of great personal satisfaction to every citizen; nor is it so these days. Do we not have people of color being detained or gunned down without cause, gay people being discriminated against, movie moguls with casting couches, and politicians who are for rent when the occasion should arise? Once upon a time there was a story by L. Frank Baum about a young girl in a farm town who set off on a adventure and wound up on a yellow brick road. I know you saw the film from 60+ years ago, and maybe read the Wonderful Wizard of Oz to your children, and seen it on TV, etc. But this production by the Alliance is quite a treat for young and old alike. Directed by Rosemary Newcott, a cast of nine players captures your eyes and ears from the first lines. Phillip DePoy is the musical director and all the players are onstage. Jeremy Aggers appears as a scarecrow as well as two other roles. Niki Badua is Dorothy and she travels on to find good things for all. 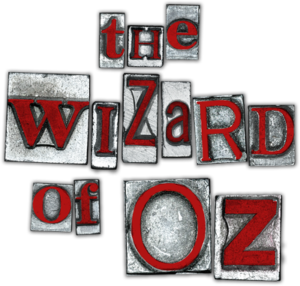 Glinda is played by Molly Coyne; and that cowardly lion and munchkin is Thomas Neal Antwon. The Woodman is Jeremiah Parker Hobbs and Lyndsay Ricketson is another munchkin and a Crow. That wicked witch is Ellen McQueen who is also other roles; and the voice of that egotistical Wizard is Rob Lawhon, who is also 3 other characters. While the story was banned many years ago for depicting women as strong leaders, it remains relevant as youngsters learn that family is what you make it, that you must first believe in yourself and that there really is no place like home. This is a show where everything comes together perfectly. Topher Payne’s Tokens of Affection, is a laugh riot; especially if you thought that your own family was the only dysfunctional one. Then come to meet the Garretts. Charlie (Matthew Busch) is the son who lives in lower Manhattan and works from home designing computer animated gaming. His sister, Claire (Emily Sams Brown), is up in Connecticut playing housewife to her hubby, Bruce (Daniel Carter Brown). Their father, Frank (Bob Smith), shows up unexpectedly and you have the start of a riotous confusion akin to putting your lives in the blender and then having somebody turn the power on when you least expect it. Mary Claire Klooster plays their testy mother, Jackie; and Emily Kalat is Charlie’s neighbor, the single woman Rita. No matter what anybody says, every attempt to skew the facts seems to backfire. If you were a fan of Jerry Stiller and Anne Meara you will certainly love this play. The set designed by Carolyn Choe works perfectly in a Moliere style. It works very well even if Charlie’s ceiling fan or stove may not do so. Zip Rampy directed the production and I really thought he knew the real Jackie. She’s must have been my daughter-in-law’s mother.